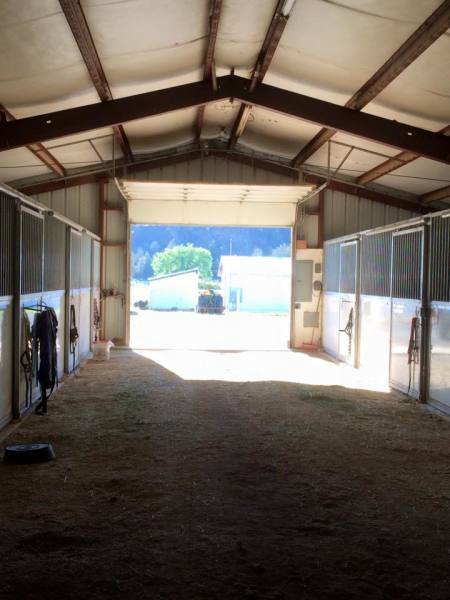 JRR/NWMS, centrally located in Oregon on 45 acres, features a breeding barn with complete laboratory facilities. Coupled with a multiple stall foaling barn, that is monitored via closed circuit television from several locations at the facility, mares are bred and foaled in hospital-like conditions. Surrounding the main barn are a number of housing barns that total more than 60 spacious stalls (ideal to spend extended time in without becoming claustrophobic), that feature automatic/heated waterers and most are complete with individual runs. Just away from the barns are a number of pasture turnouts. These range in size from approximently one acre to pastures that encompass fifteen acres. 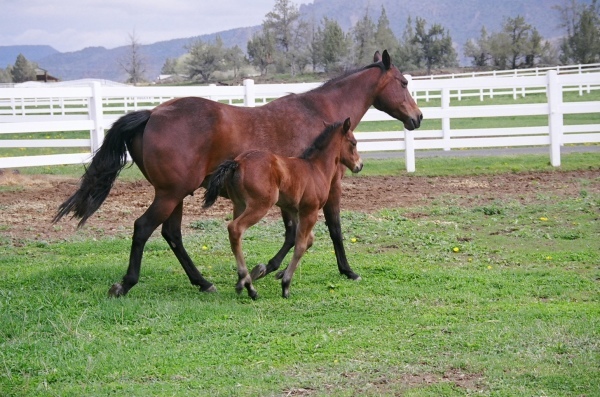 All pasture turnouts are double fenced for safety, insuring no cross-fence contact.